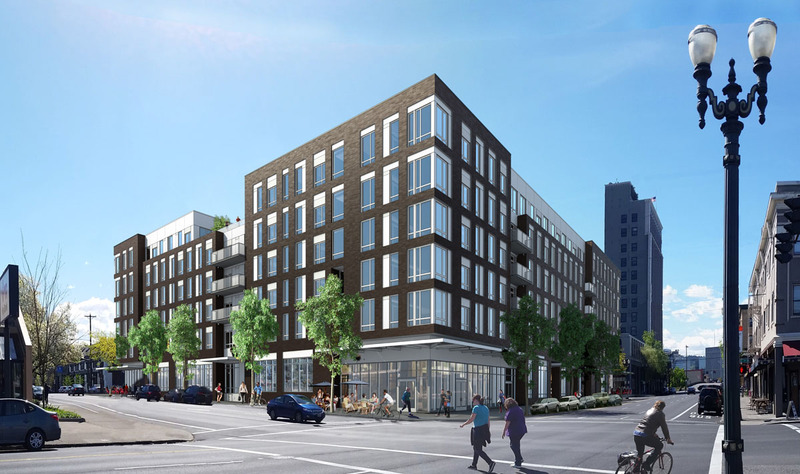 The Design Commission has approved the George Besaw Apartments, a four story mixed use development at NW 23rd and Savier by GBD Architects, for developer CE John. 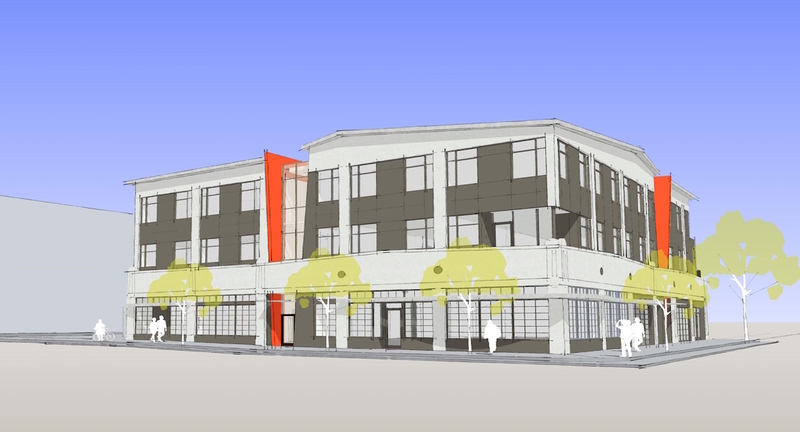 The 51 unit building will be located at the original location of Besaw’s restaurant, and will include 6,000 sq ft of ground floor retail facing NW 23rd Ave. 24 vehicular parking spaces will be provided, mostly in a mechanical parking system. 59 long-term and 5 short-term bicycle parking spaces will be provided. 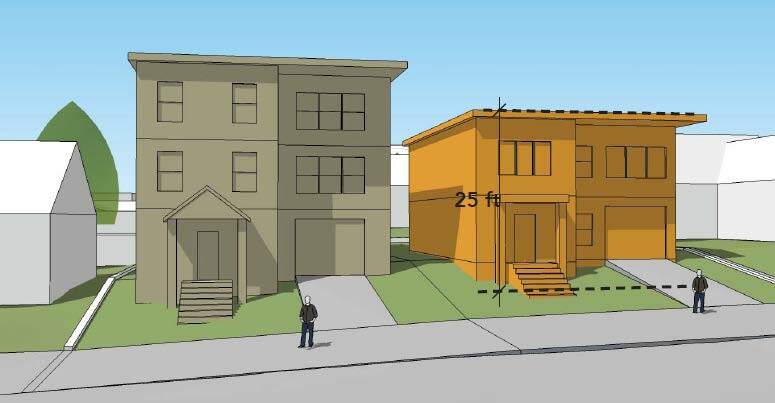 The Residential Infill Project has released recommendations for changes to the zoning in Portland’s single family residential zones. One of the proposed changes is reduced the allowable height of flat roofs from 30′ to 25′. The Portland Business Journal wrote that jazz club Jimmy Mak’s has found a new home, with an exterior courtyard. The Pearl District bar is relocating to make way for the Modera Davis apartment building. The Business Tribune reported that work is beginning on the Design Overlay Zone Assessment project. 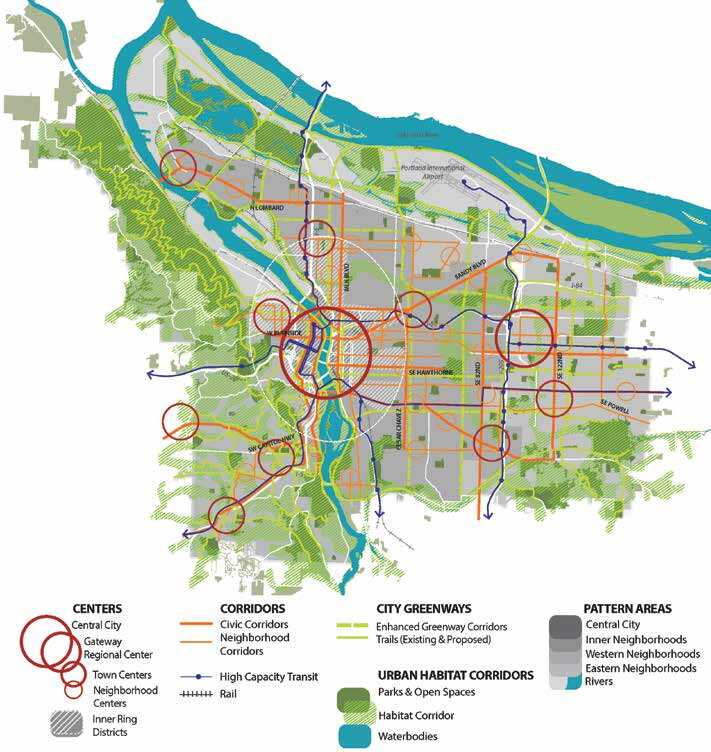 As Portland gets ready to expand the number of areas covered by Design Review it has asked consultants to perform an independent, comprehensive assessment of the city’s design overlay zone. 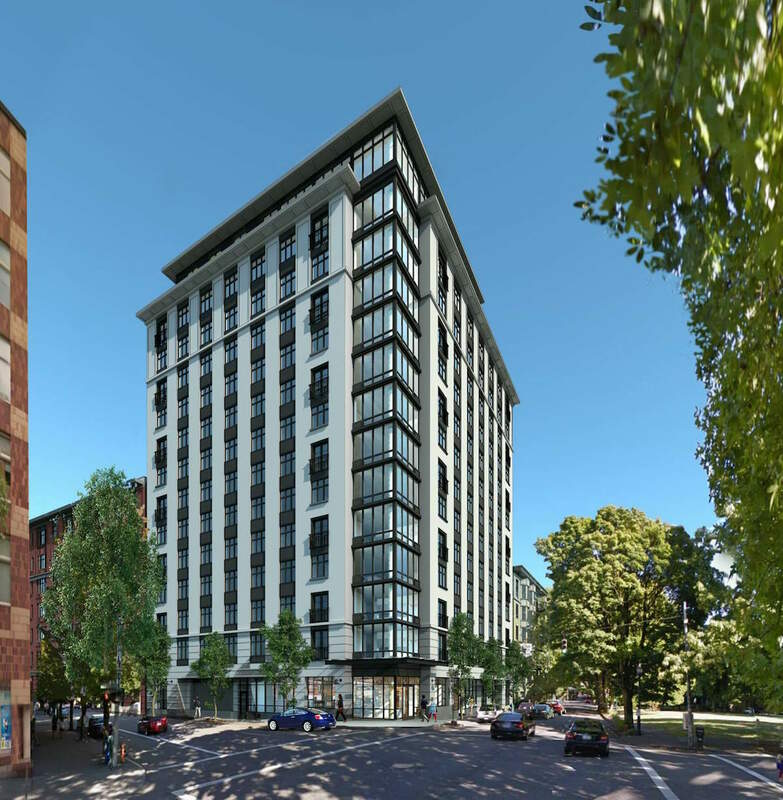 Work is about to begin on the Broadway Tower, according to the Portland Business Journal. The 19 story tower will include a Radisson Red hotel and 175,000 sq ft of office space. The Portland Business Journal had a look inside Stoel Rives’ “lofty new digs” at Park Avenue West. KGW reported that demands for Portland’s core housing leaves suburbs slow to grow. 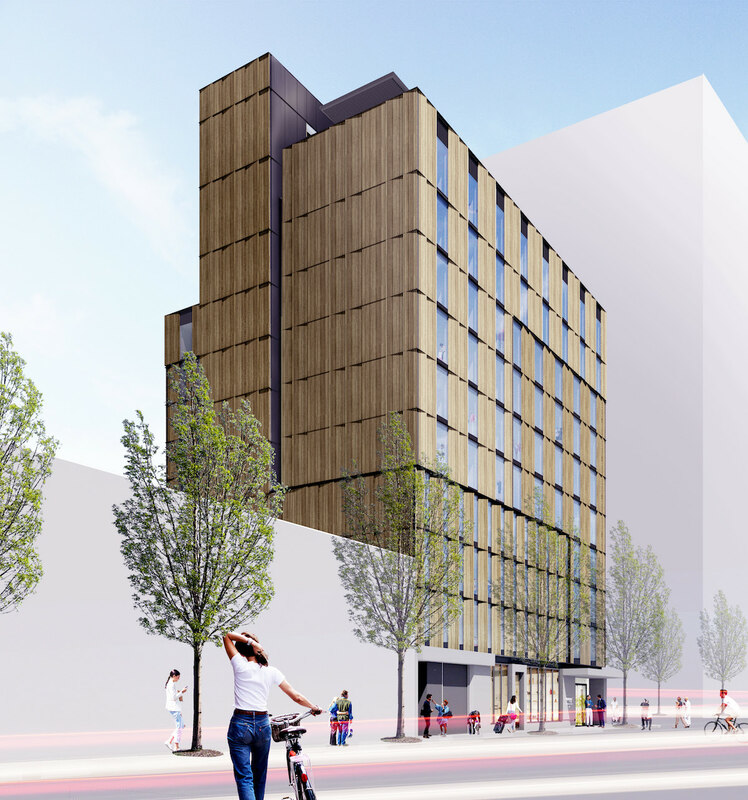 Details of the $258.4 million affordable housing bond that will be on the November ballot were published in the Portland Mercury. Portland is seeking feedback on the Residential Infill Project, and is holding a series of open houses. An online open house will accept comments until August 15th 2015. A letter to the editor the Portland Chronicle was critical of the project, and argued that the City is “failing its promise to the majority of its citizens”. 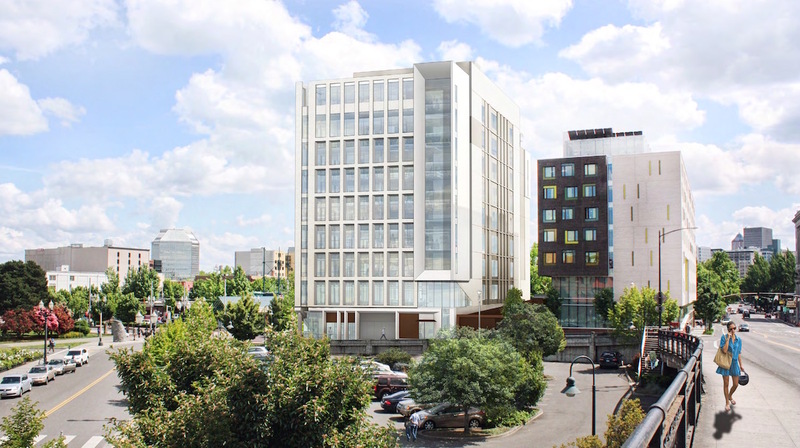 The proposed 20 story hotel at SW 3rd and Salmon by Ankrom Moisan Architects has returned in front of the Design Commission for a second Design Review hearing. 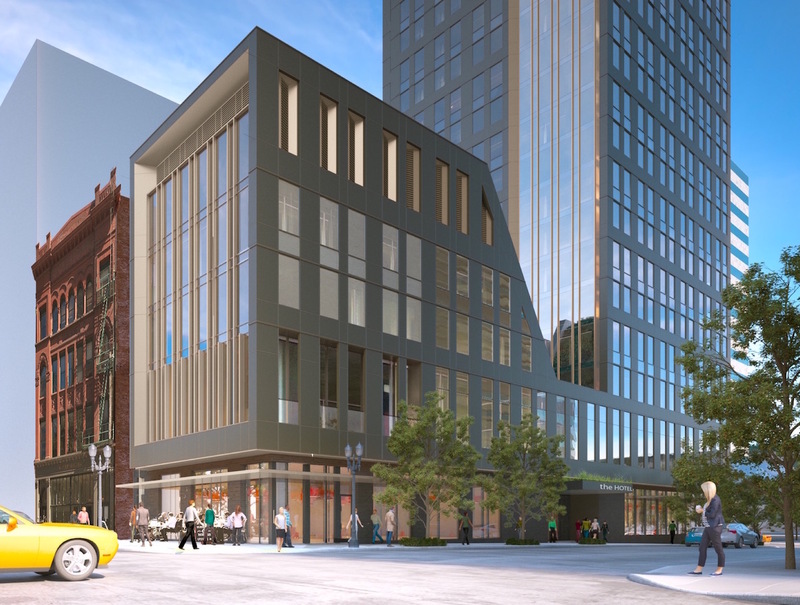 The 246′-7″ tall building is being developed by Third & Taylor Development LLC, a partnership between Onder Development and Arthur Mutal. The proposed hotel will have 245 guest rooms, with a rooftop bar and a swimming pool proposed at the 20th floor. The hotel lobby, restaurant and a bar/market are planned for the ground floor, with conference facilities planned for the second floor. One basement level would be used for housekeeping and other back of house functions. No new vehicular parking is proposed. 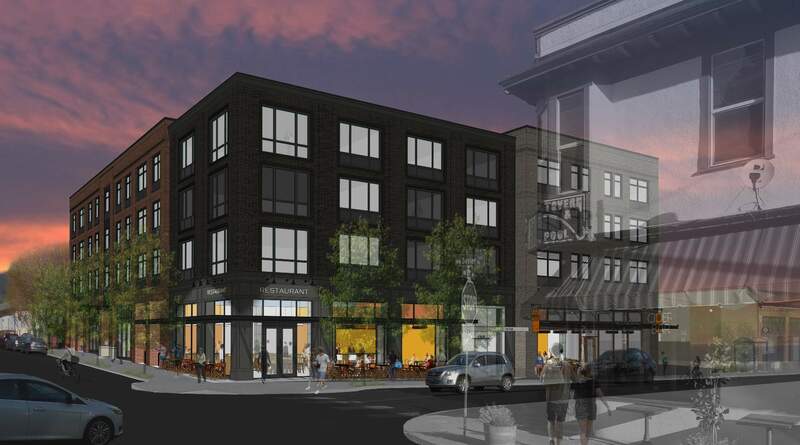 In a rare move, the Portland City Council has overturned a decision by the Design Commission. 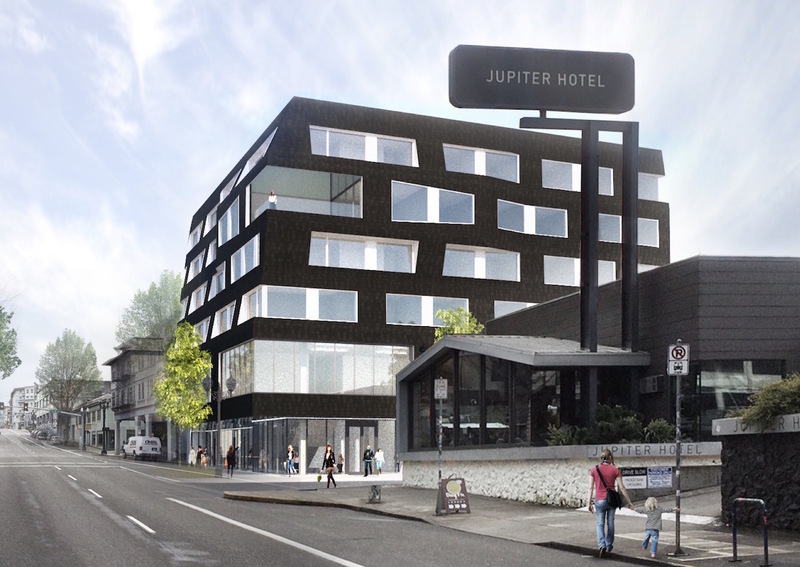 In April the Design Commission approved an expansion of the Jupiter Hotel, designed by Works Partnership. The new building was originally proposed to be clad in asphalt composition shingles, but the Commission insisted that the building should instead be clad in metal shingles. The approval was then appealed to City Council, who removed the condition of approval, therefore allowing the asphalt shingles as the finished material. The new 6 story building will add 67 rooms on a site directly to the east of the existing hotel. The ground floor would include restaurant and retail spaces facing onto E Burnside, along with a lobby and reception located at the corner of the site. An upper level lounge, banquet hall and exterior garden are proposed for the second floor. Guest rooms would be located in floors 3 to 6. No new vehicular parking is proposed.